Unquestionably, you can visit London again and again, yet you'll always find something new to discover. With a sizable and diverse mix of neighborhoods ranging from ultra-cool to expensive to up-and-coming, and a long-ranging royal history, England's capital offers a great deal of unique attractions to new and returning visitors alike. Despite being a vast and bustling city, it's entirely possible to see a good majority of London's main sites in a tiny space of time. So if you've only got a few days to spare, this 3-day guide aims to ensure that you'll make the absolute most out of your visit. Take heed though, this itinerary is meant for those who are active travelers, those who don't mind spending a full day sightseeing, and those who enjoy getting to know a place, for the most part, on foot. 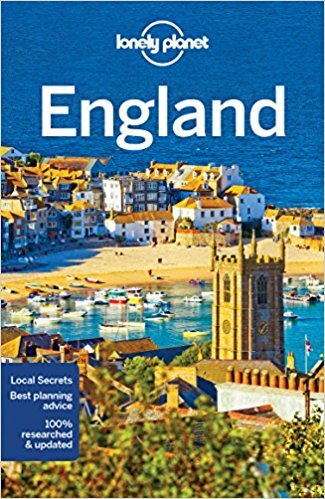 It's also fair to mention that this is not a guide that will give you an incredibly in-depth understanding of London, but rather an ample overview, perfect for the first-time visitor. To help you plan, here's how you can spend a 3-day stopover in London! Start your first day at one of the most iconic of all London sites, Buckingham Palace, the official residence of the United Kingdom's sovereign and the administrative headquarters of the present-day monarch, Queen Elizabeth II. The closest tube stations to Buckingham Palace are Westminster (Circle, District, and Jubilee lines), St James’s Park (Circle and District lines), Victoria (Victoria, Circle and District lines), Hyde Park Corner (Piccadilly line) and Charing Cross (Bakerloo and Northern lines). If you have extra time to spare, you can catch the Changing of the Guard every morning at 11:30 am in the grounds in front of the palace. If you arrive 15 - 20 minutes early you should be able to get a spot with a decent view. At certain times throughout the year, Buckingham Palace also offers visitors the chance to tour some of the State Rooms (be sure to check the website for current opening hours). Head across the street from Buckingham Palace and you'll find yourself in one of the Royal Park's of London, St. James's. Like most parks in the city, this green lung is rich in towering trees, winding walkways, curious bushy-tailed squirrels, and a quiet central lake (home to a colony of white pelicans, which were donated by a Russian ambassador in 1664 to Charles II). It’s a relaxing area – grab a seat on one of the benches for a few minutes and unwind. Continue on from St. James's Park to Parliament Square, a meeting point of sorts. Bordered by major attractions like Westminster Abbey, Big Ben, the Palace of Westminster, and lesser but equally as interesting sites such as the Statue of Winston Churchill and the Statue of Oliver Cromwell, this particular area of London is chock full of history and things to explore. For those who want to spend more time here, the Churchill War Rooms, a museum about Winston Churchill and the Cabinet War Rooms, and 10 Downing Street are also nearby. Afterwards, continue on across Westminster Bridge to the South Bank of the Thames. Immediately after crossing the bridge, you'll have a postcard-worthy view of Big Ben and the Palace of Westminster. Located on the South Bank of the River Thames across from Big Ben and the Palace of Westminster, stands Europe's tallest Ferris wheel, the London Eye. Opened to the public in 2000 to celebrate the Millennium, it was the world's tallest Ferris wheel at the time (a designation which has since been surpassed). Today, it's still one of the best city viewing platforms in London. A London Eye ticket gets you one rotation on the giant wheel which equates to approximately 30 minutes. Keep in mind that it's a very popular attraction, so in order to avoid the long queues, it may be worthwhile to reserve your tickets in advance online. Passing several major London attractions and with beautiful views of the city, follow the Queen's Walk, a promenade along the South Bank of the Thames, which will take you all the way to Tower Bridge. Along the way, you'll pass by street performers, small outdoor markets, pubs, restaurants, coffee shops, as well as neat places to check out like the Oxo Tower, home to a swanky restaurant, design studios, and contemporary shops. As you continue along the Queen's Walk, you'll eventually come across a dark, industrial-type building which used to be a power station up until the 1980s. Although this structure was once at risk of being demolished by its developers, many people campaigned that it should remain standing. Today, it houses the Tate Modern, Britain's national gallery of international modern art, one of the largest museums of modern and contemporary art in the world. As with the UK's other national galleries and museums, there is no admission charge for access to the collection displays, which take up the majority of the gallery space, while tickets must be purchased for the major temporary exhibitions. Does this bridge look familiar? You might remember the Millennium Bridge from the opening scene of the sixth Harry Potter movie! With a perfect view of the dome of St. Paul’s Cathedral, the Millennium Bridge is a major crossing point over the Thames for those entering and leaving the city every day during rush hour. It’s a beautiful piece of architecture, contrasted with the old cupola directly opposite the bridge, it makes for some interesting photo opportunities. Once you're done checking out the bridge, return to the South Bank to continue on. After the Millennium Bridge, you'll soon find yourself passing by the Shakespeare Globe Theatre, a reconstruction of the open-air playhouse designed in 1599 where many of Shakespeare's plays were performed. To see what's playing at the time of your visit, head on over to the Shakespeare Globe website. British cuisine is so much more than just fish and chips, but while you're in England you might as well sit yourself down in a pub and enjoy this traditional dish at least once! Have a pint and some lunch in one of the pubs or restaurants along the Queen's Walk promenade. Or, if you don't feel like sitting down, why not venture a few minutes off the walkway and grab something delicious from one of the food vendors in Borough Market? It's one of the oldest and largest food markets in London! Borough Market prides itself on offering traditional British produce alongside international specialties. Plus, the market is committed to being zero waste. All cardboard, paper, plastic, glass or wood is recycled, while excess food from the vendors is distributed among local charities, and anything else that's left over is sent to a facility that uses microorganisms to break down organic material and turn it into power, fertilizer, and water. After lunch, continue on the Queen's Walk and very soon you'll have your first glimpse of Tower Bridge in the distance. But before you arrive at the bridge, you'll pass by the HMS Belfast, a Royal Navy ship from the Second World War that has been refitted as a museum and permanently moored on the Thames. Follow the Queen's Walk up a set of the stairs and you'll find yourself on Tower Bridge, one of the most famous bridges in the world! Apart from crossing on foot or by car, you can also visit the Tower Bridge Exhibition for more information on the construction and history of this iconic structure. There are plenty of spectacular photo spots along both sides of the Thames River where you can get a good shot of Tower Bridge. After you've enjoyed the view, you can make your way to wherever you'd like to go on foot, by taxi, or via the tube. The closest tube stations to Tower Bridge are Tower Hill (District and Circle lines) and London Bridge (Northern and Jubilee lines). The second day begins at the historic Tower of London. The closest tube station is Tower Hill (District and Circle lines). In order to get a head start on the tour groups, school classes, and the general masses that visit the Tower of London every day, be there right at opening time (9 am Tuesday to Saturday and 10 am on Sundays and Mondays ) to avoid the bustle. This way, you'll have about an hour or so before it gets really packed. First thing, head on over to the Crown Jewels exhibit as this is typically the most popular. After you've seen the Crown Jewels, you’ll have time to explore the rest of the Tower which includes exhibits about the exotic animals that used to be housed there, the famed ravens, suits of armor, and ancient torture devices. Plus you’ll be able to learn more about London’s (often) bloody history and see the iconic tower guards, commonly known as Beefeaters. Additionally, if you walk the outer top perimeter you'll have grand views of the city, including the famous commercial skyscraper commonly known as the 'Gherkin' for it's unique shape. You’ll be able to see the massive dome of St. Paul’s Cathedral from far across the skyline of London. It’s an absolute astounding work of architecture, and one that has been destroyed, damaged by fire and war, and rebuilt several times. The 259-step high Whispering Gallery (perhaps best to keep your feet on the ground if you’re prone to vertigo) and the Crypts are among the most visited and worthwhile sections. Admission to the Cathedral includes a headset and Ipod in the language of your choice which contains videos explaining the history, architecture, and other interesting info which you can refer to as you explore the cathedral. Before you leave, be sure to drink a cuppa tea in the underground Crypt Cafe! Although Temple Church is located just a minute off busy Fleet Street, the hustle and bustle of the city seems to instantly die away as you reach the outer courtyard of this historic structure. Built by the Knights Templar in the late 12th century, Temple Church is famous for being a round church, and for its 13th and 14th century stone effigies of knights. It was heavily damaged by German bombing during World War II and has since been beautifully restored and rebuilt. To see the interior alone, for its simplicity and light, is well worth a visit. Entrance is £5 per adult, £3 for seniors or students, and free for anyone under 16 years of age. Make a quick stop at The Fleet Street Press, a vintage-inspired coffee shop that imports and roasts green beans from over 15 countries around the world. While the Fleet Street location is their flagship, you can find their other locations in Chancery Lane and Saint Bride Street. Although it is rather touristy, Covent Garden is a neat place to have a bite to eat and do some people watching, especially on a rainy day in London since the structure is covered. You can also browse the shops, listen to live music, and check out the British hand-made crafts in the Apple Market. The Covent Garden shops usually operate between 10 am and 7 pm from Monday to Saturday and on Sundays from around 11 am to 4 pm. The Apple Market is open from 10:10 am until 6 pm and the East Colonnade Market is open from 10:30 am until 7 pm. The Covent Garden tube station (on the Piccadilly Line) is only a short walk away from the market building at the end of James Street. The third day begins in Hyde Park, the largest of the four Royal Parks in central London, taking up over 140 hectares. Start your morning at Kensington Palace, one of the royal residences in the city, and currently the official London residence of the Duke and Duchess of Cambridge and Prince Harry. The closest tube stations to Kensington Palace are High Street Kensington (Circle and District lines), Queensway (Central line), and Notting Hill Gate (Central, Circle, and District lines). Apart from Kensington Palace, you'll find this gigantic park also contains countless walking and biking paths framed by magnificent old trees, the giant Serpentine lake (home to swans and other water fowl), the statuesque Albert Memorial, Diana, Princess of Wales Memorial Fountain, and Speaker's Corner, which has long been used as a place for free speech and debate since the 1870s. Make your way towards Speaker's Corner and exit out of Hyde Park at Marble Arch, a beautiful 19-century white marble arch. Pass under Marble Arch and you'll find yourself on busy Oxford Street, one of the main shopping roads in London. Stretching for almost 2 kilometers, with storefronts on either street side, you'll undoubtedly get some shopping in here. Some of the major shops you'll find on Oxford Street include Selfridges, Topshop, H&M, Uniqlo, Zara, plus many more. Walk the length of Oxford Street until you reach Bloomsbury Street. Here, turn left and you'll soon see our next stop, the exquisite British Museum. This just might be my favorite place in London. The architecture, the exhibits, the artifacts (approximately some 8 million works, one of the largest and most comprehensive in existence!) – the British Museum is a must. You could spend days upon days exploring everything, but the Egyptian, Abyssinian, Roman, Greek, and Medieval Europe halls are justly the most popular, and highly recommendable if you only have a few hours. Even if you're not that into historical artifacts, simply standing and taking in the vastness of the Great Court, the museum’s inner courtyard (which also happens to be the largest covered public square in Europe) will undoubtedly leave a lasting impression. But, perhaps best of all, the British Museum is free to visit! London is notoriously expensive, and when you only have a short amount of time to explore the city, you really don't want to be commuting an hour each way via the tube just to save a few pounds on a hotel in the outskirts of the city. To strike a balance between practicality and price, boutique hotels are the way to go. While they can be rather small, they usually have all the amenities a traveler needs for a few nights, and they certainly won't topple your budget. It's also worth noting that London happens to be a tourist mecca all year round, so it's best to book your accommodation well in advance as hotels (and hostels for that matter) do tend to fill up quite quickly. Located in South Kensington (just a block south of the Queen’s Gate Hyde Park entrance), MEININGER Hotel London Hyde Park is where I stayed during my most recent visit to London. This hotel is situated in the historic Baden-Powell House and features modern hostel type rooms, either private or shared (each room includes it's own bathroom). I found the room and common areas of the hotel to be clean and modern, while the staff was friendly and helpful. I would certainly consider staying there again. Additionally, if you’re considering this hotel it's worth noting that they serve a well-rounded and well-priced breakfast buffet which costs £7 per person per day. They serve a selection of juices, coffee, tea, toast, jams, cold cuts, cheese, assorted pastries and breads, cereal, yogurt, and fresh fruit in a comfortable and large breakfast room that has a nice view onto the road below. I don’t think I could have purchased the same selection of foods offered in the buffet for £7 had I eaten out each morning instead. Simply put, it's convenient and economical to have breakfast in the hotel. Finally, I was excited to learn that the Queen herself had actually visited the hotel in the past because of its location in the Baden-Powell House, named after Lord Baden-Powell, the founder of the scout movement. Queen Elizabeth II has been a patron of the Scout Association since 1952.
Notable sites and attractions close to the hotel include Hyde Park, Royal Albert Hall, the Natural History Museum, the Victoria & Albert Museum, and Harrod's. Although most of us travel with a smartphone in our pocket, having a guidebook in your backpack never hurts! These are some useful ones when it comes to visiting London and England.